Dr. Muriel Joseph-Williams, President & CEO heads BrainCorp Inc., an international consulting firm that bridges the gap between companies looking to expand into new markets in other countries by providing Leadership and Management as well as Global Development. Her fluency in French, Spanish and English has contributed to her as a popular, sought out, keynote speaker on numerous topics, with her business acumen lifting her to international prominence. BrainCorp has presence in the United States, Europe and Asia and is currently expanding offices in China. During her career, this former Chief People Officer was presented with a significant challenge – to create a leading-edge HR function in a 50,000 employee corporation that was to double the numbers it employed in the next two years. Dr. Muriel Joseph-Williams, the only female Executive in a male dominated Saudi Arabian corporation was truly unique, becoming one the highest ranking female professionals in Saudi Arabia and in the Middle East. With a staff of some 300 in Saudi Arabia and 100 overseas, Dr. Muriel Joseph-Williams was a direct report to the CEO (former Prime Minister of Lebanon) and the General Manager. She also served as Co-Founder and Head of HR for a pan-European IT Services business and remains a successful consultant for various Fortune 500 companies. Dr. Muriel Joseph-Williams has worked in industries such as Manufacturing, IT and Consulting as well as in a conglomerate with primarily focus on Construction and Facilities Management and with interests in Hotels, Oil & Gas, Banking, Telecommunications, Printing etc…. She is the recipient of various awards including one from the Government of the Philippines for her accomplishments in this part of the world. She has organized different symposiums in Europe regarding Gender Issues and Global Diversity (at the French Congress in 2005); In France with the French Secretary of Gender Issues, Nicole Ameline in 2006 as a guest speaker; In London at several events with a non-profit organization dedicated to Women Empowerment in business; and projects in partnership with the Hariri Foundation at different colleges around the world. 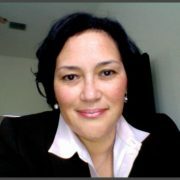 With a Masters degree in Law from the Sorbonne in Paris, a degree in Public Administration from the prestigious Institut d”Etudes Politiques de Paris, and a Doctoral degree in Human Resources and Organizational Development from CNAM/HEC Paris, Dr. Muriel Joseph-Williams has powerful academic credentials. She is a GPHR and the recipient of the Global Mindset Inventory from Thunderbird Global School of Management as well as the Human Capital Strategist Certification (HCS). This Renaissance woman is deeply involved in Community Service, especially with foster kids in the Melbourne area in Florida. 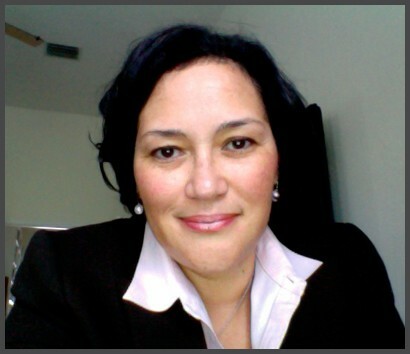 Dr. Muriel Joseph-Williams is the successful author of two books: “Access Your Managerial Skills with Accura, a practical handbook” and “Successful Terminations.” She is a French National who lives in Central Florida with her husband.